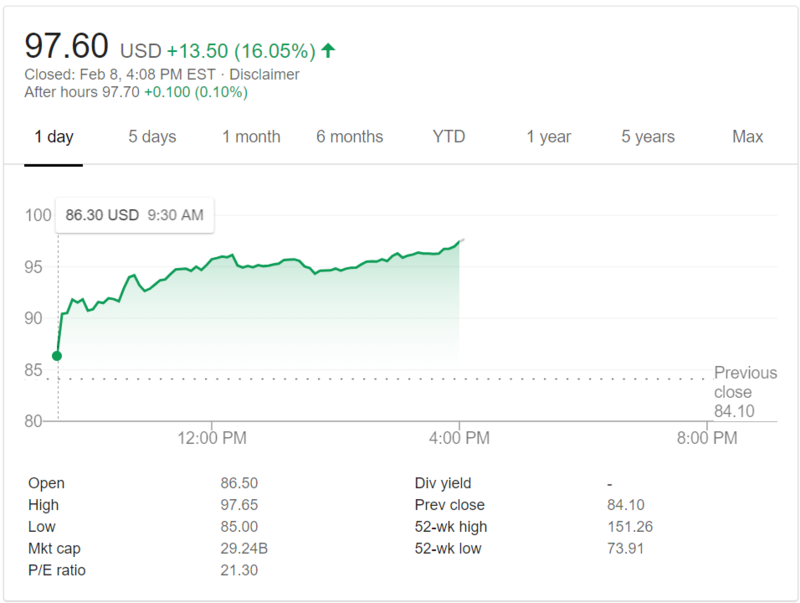 Electronic Arts (EA) ends a rollercoaster week with one of their best trading days ever with the stock up over 16% in one day. Just 2 days before, the stock had fallen over 15% on a weak earnings report that included disappointing guidance for 2019. Today was a completely different story as Wall Street cheered the incredible traction that their newly released game, Apex Legends in getting. Shares of the video game maker went from $84.10 per share at Thursday’s market close to $97.60 by the end of the day Friday. That amounts to a market cap increase for the company of between $4-5 billion dollars. EA stock actually closed the volatile trading week about 7% higher while the overall market was about flat. Below you can see how EA stock traded today. Opening the day well up and then continuing a steady trend higher throughout the day. It was a remarkable turnaround as earlier in the week, analysts had declared traditional gaming companies like EA, Activision Blizzard, and Take Two Interactive might have lost a bit of their magic to popular games like Fortnite. 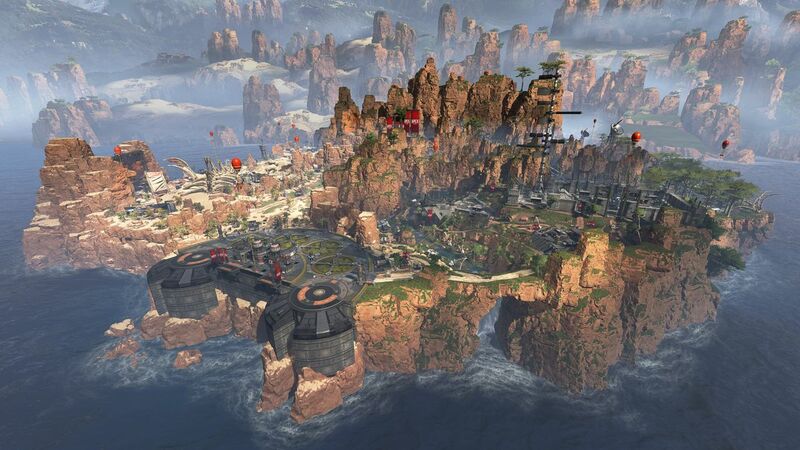 EA’s new game, Apex Legends, has quickly risen in popularity over the handful of days since it’s initial release. Like Fortnite, it is a 100% free to play game. Respawn Entertainment developed the game for Electronic Arts and the entire project was kept extremely quite until it was released. The game has already surpassed 10 Million players and 1 Million Concurrent players. At the time of this publishing, it has between 2-3 times more viewers on Twitch than rival Fortnite with 405,000 viewers vs 154,000 viewers. It is much easier for a new and exciting game to surge to the top of the charts, especially if it is a free to play game from a big budget studio. The next few weeks and months will be crucial to see if Apex Legends can continue it’s stunning growth. Expect Wall Street to be paying very close attention to all announcements concerning EA’s new game.